Quality gain and boost pedal with 3-way clipping toggle switch. The Revelator is an extremely versatile pedal that is known for its huge range of available gain and boost. 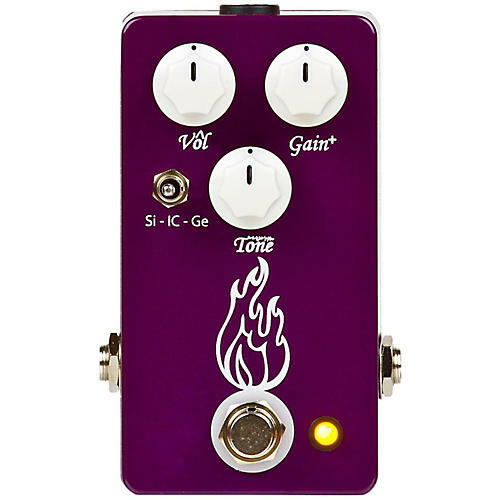 The gain can take you anywhere from a light crunch or boost to heavy distortion and pushing into fuzz territory. With the toggle in the middle position, you get a huge volume boost that will overdrive a tube amp or help you stand out in solos with ease. The Revelator is now in a smaller enclosure. Keep the gain low enough and you'll actually have something closer to a clean boost. But crank the gain past 12 o'clock and you'll get gritty distortion that will make your amp scream. Combine the gain knob with the 3-way clipping switch for a massive palate of tones to choose from. The 3-way clipping toggle switches between silicone, germanium, and IC-based distortion. Dimensions: 4.49" x 2.75" x 1.92"